Two skiers were rescued from an avalanche January 17 at Taos Ski Area. More skiers may still be buried. At 11:45 a.m., an avalanche triggered near Kachina Peak, burying multiple people. Kachina Peak is Taos’ highest point. Photo above taken by Flikr user Paul Sableman. Ski patrol immediately conducted rescue efforts and have since recovered two people near the base of the run. Photos show a long line of rescuers and resort-goers probing along the avalanche’s slide path. More people may still be buried. Taos received 2 inches of snow on January 16, and ski patrollers set off explosives before opening the ski area on Thursday. The Kachina Peak lift gives skiers access to expert runs at the resort. It opened on January 15 for this winter’s season. One woman claimed seeing three experienced skiers descending the slope before she heard the sound of an “earthquake,” reported the Taos News. The rescued skiers suffered serious injuries but were alive and sent to the resort’s medical clinic, a volunteer firefighter told KOAT. 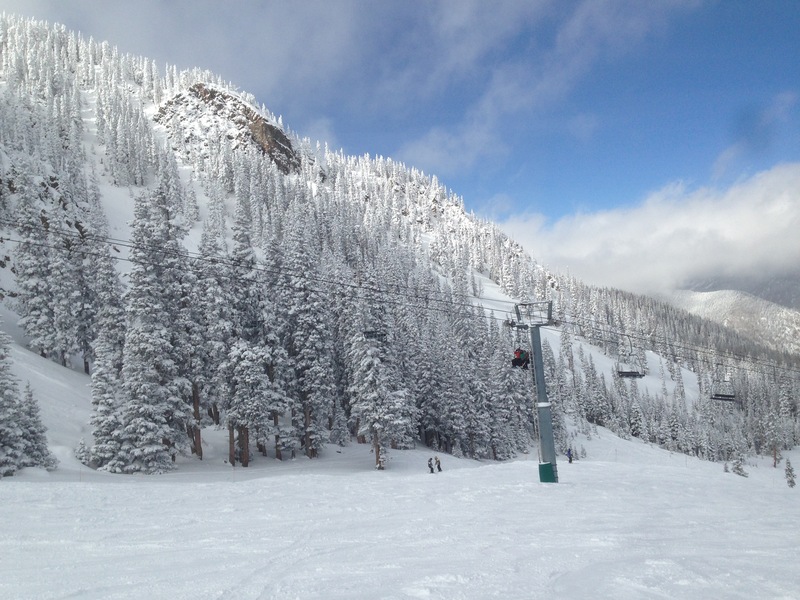 Taos Ski area lies in northern New Mexico’s Sangre de Cristo range. It receives around 300 inches of snow per year. Details on the event are slim, and as of 2:00 p.m., the search was called off. We will update the story with information about the avalanche as it becomes known.